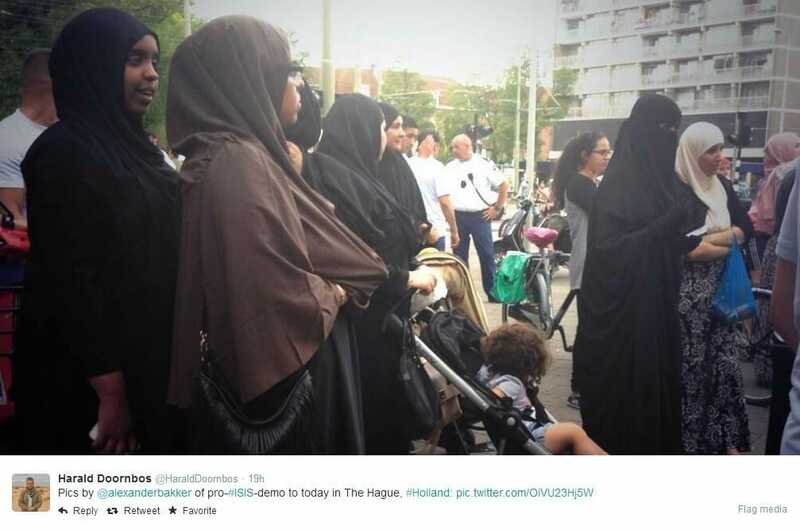 ISIS terror supporters held a rally today in The Hague, Netherlands. 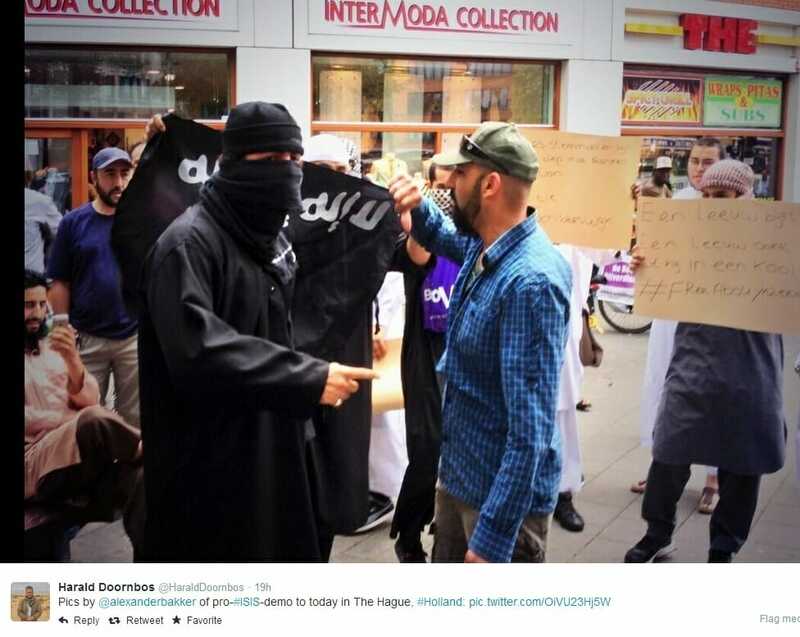 Masked ISIS supporters rallied for jihad in The Netherlands. The ladies of ISIS attended the rally. But they were forced to stand off to the side.